It is the dawn of a new season for the Catholic University Cross Country teams, which hit the trail this past Saturday, September 1st in their first meet of the year. The race was held in Washington as the teams competed in the Howard Labor Day Classic. The women’s team placed first overall in the three-team event, while the men’s squad finished second. 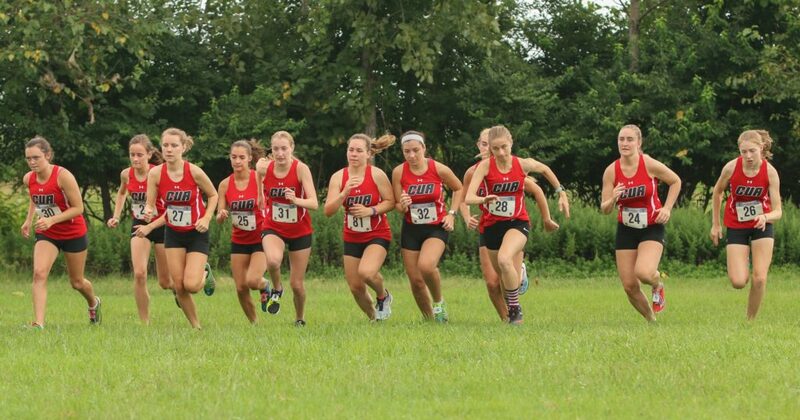 The women’s team had a strong showing on the day, with 6 Cards finishing with in the top 10. Senior Kiera Lyons finished second overall with a time of 20:04.45, while freshman teammate Paige Wilderotter finished seconds behind her with a third-place time of 20:20.63. Classmate Hannah Marino placed fifth (21:19.82) while sophomores Tara Thornton (22.04.14) and Shannon Griffin (22.15.66) finished in seventh and ninth respectively. Junior Captain Alex Filiault rounded out the top 10 with a final time of 23:10.12. Junior Cornelius Deep lead the men’s team with a time of 16:39.96, which earned him the third overall spot. Classmate Cosmo Pirozzi followed just behind in fourth with a time of 16:49.96, while freshman Joseph LaPointe crossed the finish line in eighth (18.01.18). The event was a strong showing for both teams as their season gets under way, and proved to be a fortuitous start for newly appointed director of the program Steve Rahn. Rahn was announced by Athletics Director Sean Sullivan only a day prior to the event, but the team had already begun to see a difference under the new leadership. Rahn brings a laundry list of achievements with him, including 16 years of coaching experience. 6 of those past years have been at conference rival Moravian as an assistant on the track and field team working with the sprinters, hurdlers, and combined event athletes. He has been a part of 22 Landmark Conference championships and 103 individual and 15 relay conference champions. His athletes have also won 7 field athlete, 5 track athlete, and 9 rookie of the year awards. His coaching has also lead to 21 Conference records, 20 school records, 11 conference meet records, 9 NCAA Tournament qualifiers and finally coached 4 All-Americans. This impressive resume and winning philosophy will hopefully translate well here at CUA, and only time will tell if the new fit will be a good one. The Cardinals return to racing this coming Saturday, September 8th as they travel to the Landmark Conference Preview meet hosted by Juniata.